Written by Colleen Sedgwick on June 16, 2014 . Posted in Multiply. Last week I wrote about the 3 Biggest Pet Sitting Hiring Mistakes. This week I’m going to give you a couple more helpful pet sitting hiring tips. Pet Sitting Hiring Tip #1. Listen to your gut! There have been times when I’ve met a pet sitting prospect and they’ve done all the right things. They’ve presented themselves well, answered my questions clearly and with enthusiasm. They also have the availability I’m looking for, but for some reason, which I can’t explain, something is off. It’s that thing we call our “gut feeling.” My advice to you is to listen to your gut. In my experience, it very rarely steers me the wrong way. When you get that feeling it’s usually due to the energy the person may be exuding and your subconscious is picking up on it. That feeling is there to tip you off. Trust yourself and listen to it! It can save you a lot of trouble in the long run. 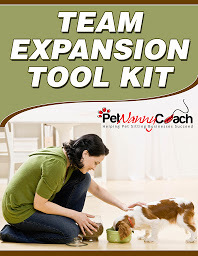 I realize that this is much easier said than done, but it’s a skill you need to practice if you want to substantially grow your pet sitting business. Here is a good article on how to follow your intuition. Pet Sitting Hiring Tip #2. Create a test or assessment to evaluate new sitters. When I hire a new pet sitter to join the Pet Nanny Team, I email them a Sitter Welcome Packet. I explain to the new sitter that all of the items in the packet must be completed before we can start giving them assignments. How the sitter completes the packet is a tell-all, if they are actually going to work out. Those individuals who hop quickly to completing the packet in an orderly fashion without many questions or issues usually end up being my best sitters. Why? They have made getting started with Pet Nanny a priority. They have displayed their sense of urgency. Those who sit on the packet for a week or more before starting the tasks, 9 times out of 10 do not work out well. I have now made it our policy that if a new sitter lets more than 7 days pass without submitting the completed takes, the offer to join our team is rescinded. I already know that if it takes them this long to complete a basic task, that they lack any sense of urgency and don’t consider Pet Nanny to be a priority. In the pet sitting industry, you need to have the ability to communicate effectively by returning phone calls, emails and texts promptly. In this case they have failed my test. If the prospect clearly communicates with you that she is going out of town or has something else going on at that exact moment, I absolutely take that into consideration because they COMMUNICATED clearly with me. It’s all about the ability to communicate effectively! Start listening to your gut! Create a test for your own new hires. Think about how you can evaluate a new hire before actually sending them out into the field. Hiring is one of the scariest things for us pet sitting business owners to conquer. You may be asking yourself, “Will they do as good of a job as I do? Can I trust them? How do I pay them? Will my clients like them?” I get it! It’s a tough transition.